Born on November 17, 1999, Donovan dabbled in sports for the first time at the age of 4 years in the CODE in the disciplines of Diving and Artistic Gymnastics, where at his young age he managed to represent Jalisco in the National Olympics on both sports. At the age of 8, he decided to dedicate himself to figure skating as a high-performance sport at the Ice Land Ice Rink. Complementing with Ballet to perfect routines in the prestigious Academy of Ballet Zayi under the supervision of Misses Ana Jurado. He is currently training with his coach Gregorio Núñez in the City of Leon, Guanajuato. Both moved to this city for the adequate rink facilities to continue training in better conditions. First Mexican to successfully complete a Triple Axel in an ISU (International Skating Union) competition. First Mexican to participate in a Gala at ISU Four Continents. Mexican representative at international level, endorsed by the ISU (International Skating Union) in the discipline of figure skating since 2013. 12 times national champion, endorsed by the FEMEPASHIDI (Mexican Federation of Ice Skating and Winter Sports). 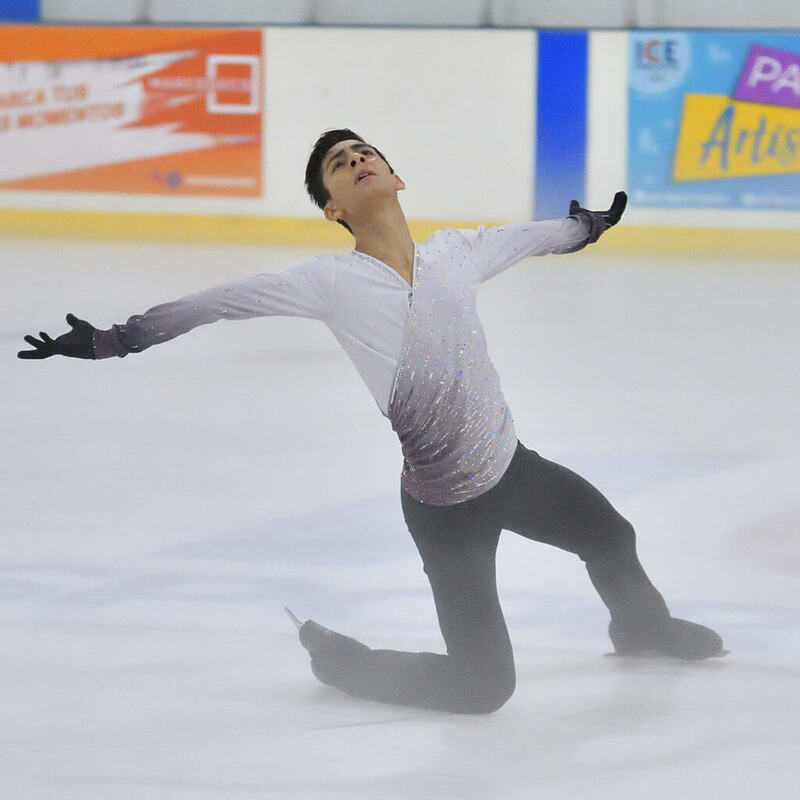 He competed in the “ISU Junior Grand Prix of Figure Skating 2016; Yokohama, Japan “; where he skated with Juan Gabriel’s song “Hasta que te conocí”. The video of this competition was seen by hundreds of people being one of the most viewed videos in figure skating in 2016. 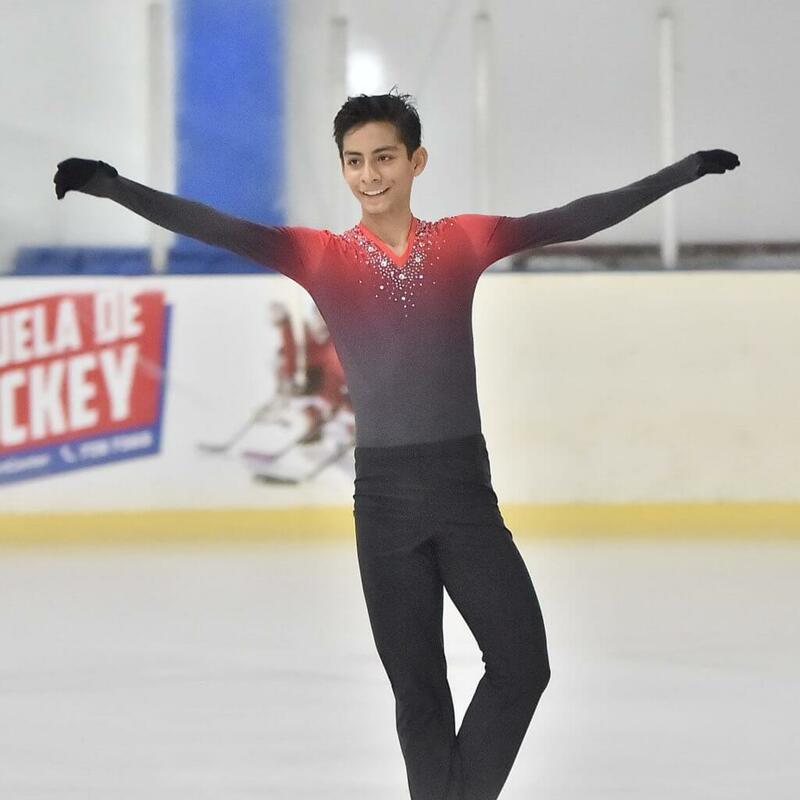 In the year 2017 he made his debut in world-wide competitions participating in the ISU World Junior Figure Skating Championships 2017; Taipei city, Chinese Taipei. “Where he ranked 27th out of 47 skaters. First Mexican to finish within the first 10 places in an ISU Junior Grand Prix competition in the male branch. He attended the competition of “49th Nebelhorn Trophy 2017” event in which the last Olympic Games venues are awarded, being only 6 places to classify and represent Mexico in the Olympic Games of Peoychang 2018. 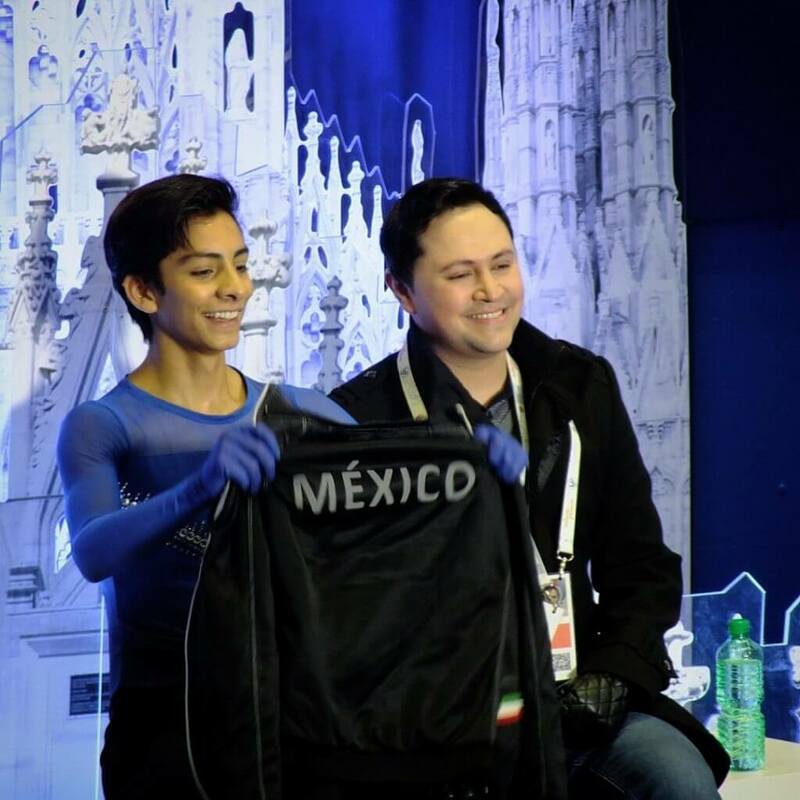 He qualified and represented Mexico in the “ISU Four Continents Figure Skating Championships 2018; Taipei city, Chinese Taipei “where in addition to qualifying for the final, I am in the 18th place. 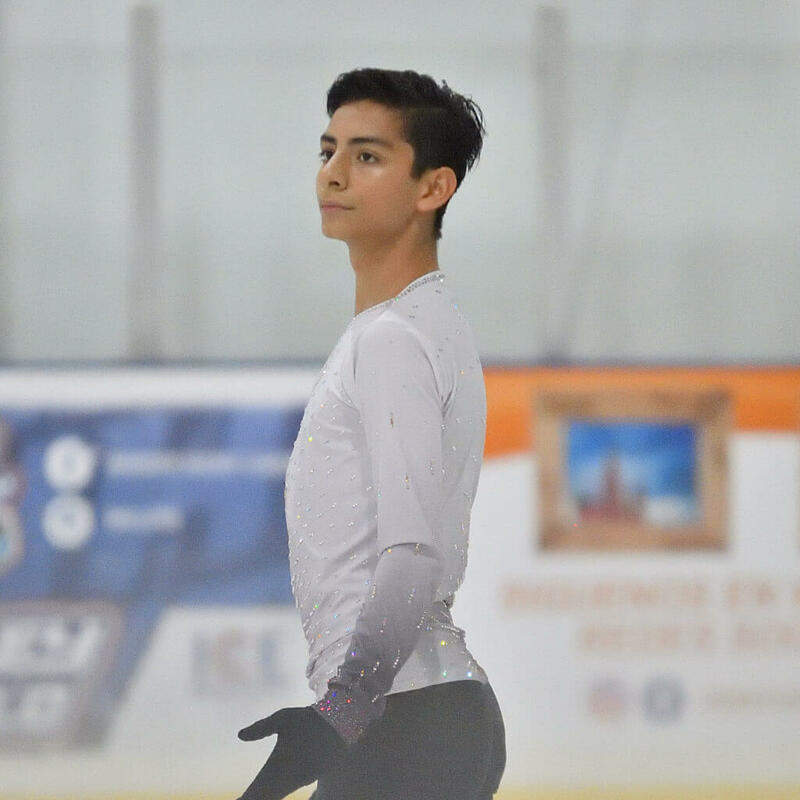 First Mexican to qualify and be a finalist in the men’s branch of the “ISU World Junior Figure Skating Championships 2018; Sofia, Bulgaria “and in the” ISU World Figure Skating Championships 2018; Milan, Italy “in the same year finishing in the 21st and 22nd place respectively. Donovan is at a point in his career in which the economic support of third parties is of vital importance so that he can continue to prepare and continue to represent Mexico in events of International and World stature. These events will help him build his way to fulfill his goal of making history by representing his country in the next Olympic Games of 2022. Currently Donovan has the support of few sponsors of which most have been in products. So his parents have asked for loans and organized different activities for raising funds such as raffles, collections, breakfasts, etc. Everything to help him attend competitions. It is important to highlight the important role that his coach Gregorio Núñez has taken, since Donovan was young, he has played the role of a second father. A clear example is the confidence he has had in Donovan. Since he took his first steps on the ice, he has taught him and trained him as an athlete from scratch without charging anything. He has even used his money so that the skater can attend International competitions. On the other hand, the skater is working as a team with his coach giving classes to a team of girls to help them provide the resource that figure skating demands. Although the ideal scenario would be that Donovan wouldn’t have the pressure and stress of working, so that he could only focus on giving 100% in his training and competitions. This is how it has been done, to try to complete the resource. The difficult thing is that we are in a situation in which there are not many options left so it is vital to get support from third parties so that he can continue his path in figure skating.